Welcome to Durham County Library’s Gaming page, your home for all things gaming in the library collection and event calendar. Explore the “Events” and “Collection” to see everything we have to offer. Enjoy! All the upcoming gaming events for all age groups at the library — come and see us! The library has many books and other materials about games and gaming, including instructions, fiction with games as a theme, and much more. Here’s a selection of what we have to offer! The Durham County Library’s role playing game collection is part of the general collection, and each game may be checked out like any other book. Much of the collection was made possible by a grant from the Friends of the Durham Library. In a world of deadly monsters and forbidding dungeons, mighty heroes come forth in search of adventure and glory. Take on the role of a heroic character straight out of epic fantasy, plunge into the grim depths of ancient catacombs, battle monsters, and emerge triumphant with a king’s ransom in gold and jewels. Work with your friends to unravel ancient mysteries, outwit dangerous foes, and claim your place in legend. Adventure awaits! More: Character sheet PDFs available here. On a remote planet far from civilization, the worst criminal scum from a dozen star systems have been dumped, charged with building new lives under the watchful eye of Authority. Within a brutal hierarchy of savagery and servility, convicts and guards alike must make hard choices. Every colonist has their own code of conduct and their own aspirations—aspirations that invariably come at the expense of others. This dangerous new world is too small for everyone to succeed. In fact, it may well be too small for anyone to succeed. Only the shrewdest, the toughest and the luckiest will get a chance to find out. Will you be among them? More: Handout PDFs available here. With the scenarios included in this book, you can take up arms with heroes of yore and the Norse gods, or flee from the mind-bending terror of Cthulhu. You may hide from the Four Horsemen as the events of Revelation take place, speak to Quetzalcoatl as the Mayan apocalypse unfolds, or battle wild beasts as Earth itself turns on us. Wrath of the Gods brings you as close as you can (safely) come to supernatural powers ending civilization! 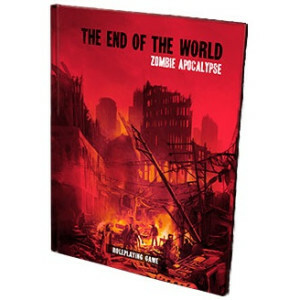 This roleplaying game offers you the chance to play as yourself during the tumult of the apocalypse, using an elegant, narrative ruleset. 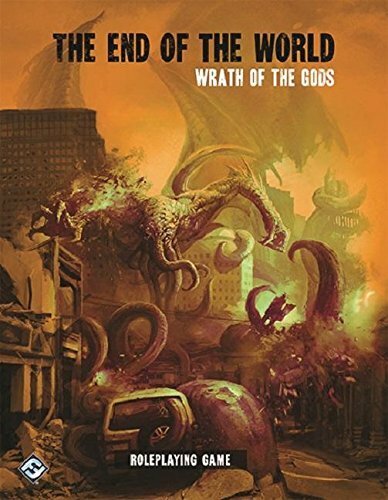 Wrath of the Gods contains five unique scenarios, each offering a different take on the end of humanity by divine wrath. Each scenario also contains an apocalypse and a post-apocalypse, allowing you to survive the initial panic and make your way in life after the world’s ending. The dead rise and stalk the earth, hungry for the flesh of the living. All that stands between a zombie and your brain are your skills, wits, and talents. Life as you know it is about to end, and one way or another, you’ll experience the apocalypse and make your way through the aftermath… if you can survive that long! If you’ve ever wondered how you’d cope with an endless onslaught of flesh-hungry undead, you can find out in Zombie Apocalypse. This roleplaying game offers you the chance to play as yourself during the tumult of the apocalypse, using an elegant, narrative ruleset. Zombie Apocalypse contains five unique scenarios, each offering a different take on the rise of the undead. Each scenario also contains an apocalypse and a post-apocalypse, allowing you to survive the initial panic and make your way in life after the world’s ending. More: Cheat sheet, playmat and playset PDFs available here. In Grey Ranks, you will assume the role of a young Polish partisan before, during, and after the disastrous 1944 Uprising against the Germans. Together with your friends, you’ll create the story of a group of teens who fight to free their city, one of countless Grey Ranks “crews” that take up arms. Your characters – child soldiers – will have all the faults and enthusiasms of youth. Across sixty days of armed rebellion, they will grow up fast – or die. The story you create is informed by many things. Grey Ranks has a scene structure, and each scene corresponds to a specific date in 1944. A broadcast of the Polish underground radio station, Radio Lightning, prefaces each scene and provides some background. In addition to Radio Lightning, you’ll choose historical and dramatic elements that pique your interest to include in each scene. The game is collaborative, and together with your friends you’ll work to create challenging, exciting, and poignant scenes for your crew – some mission-oriented, and some strictly personal. As the game progresses, success becomes increasingly difficult and you’ll be faced with difficult choices. Is achieving a goal worth destroying the Thing your character Holds Dear? How will Reputations change over time as youngsters have adulthood thrust upon them? The emotional state of your crew is tied to the Grid, which tracks their individual condition as they are drawn to the opposing extremes of love and hate, enthusiasm and exhaustion. Success or failure will pull them in unexpected directions, and where these strong currents intersect lie death and heartbreak. More: Character sheet and other PDFs available here. Communities tie us together. When you play Kingdom, you’ll sit down and make a community together and the strive to make it live up to your ideals… or watch as it burns. Your kingdom can be any group or organization that interests you. You could make a Wild West frontier town, a colony ship crawling to a distant star, or a sprawling empire holding conquered peoples beneath its thumb. As you play, you’ll confront your kingdom with crossroads, critical decisions that may change your kingdom forever. What will your kingdom do? What will it become? Will it stay true to its ideals — our ideals — or will it become some twisted shadow of our dreams? The kingdom is in your hands. The question is: will you change the kingdom, or will the kingdom change you? These are all examples of Microscope games. Want to explore an epic history of your own creation, hundreds or thousands of years long, all in an afternoon? That’s Microscope. You won’t play the game in chronological order. You can defy the limits of time and space, jumping backward or forward to explore the parts of the history that interest you. Want to leap a thousand years into the future and see how an institution shaped society? Want to jump back to the childhood of the king you just saw assassinated and find out what made him such a hated ruler? That’s normal in Microscope. You have vast power to create… and to destroy. Build beautiful, tranquil jewels of civilization and then consume them with nuclear fire. Zoom out to watch the majestic tide of history wash across empires, then zoom in and explore the lives of the people who endured it. Mock chronological order. Defy time and space. Build worlds and destroy them. Night Witches is a tabletop role-playing game about women at war. As a member of the 588th Night Bomber Regiment, you’ll answer the call of your Motherland in her darkest hour. Can you do your duty and strike blow after blow against the Fascists? Can you overcome discrimination and outright sabotage and rise above your sexist comrades? Are there limits to patriotism—or endurance? …launch into space to stop a meteor from destroying all life on Earth. …drill to the center of the Earth to restart its molten core. …navigate zombie filled cities to stop a nuclear holocaust. More: Character sheets and other PDFs available here. In The Play’s The Thing, one player takes on the role of the Playwright, the writer and director of the Play, and the rest of you portray Actors (Hams, Leads, Villains, and Ingenues) who are cast in roles. As you work your way through the Acts of the Play, you’ll suggest changes that the Playwright has to incorporate into the work, making The Bard’s stories even better. From Publisher’s Weekly: As a 12-year-old in England in 1976, Barrowcliffe made a fateful choice: he started playing Dungeons and Dragons. Role-playing games were just beginning their rise, and Barrowcliffe, along with 20 million other socially maladapted boys, spent his adolescence in dining rooms and basements as a druid, warrior or magician, throwing oddly shaped dice and slaying monsters. While D&D allowed Barrowcliffe to escape his mundane, much-bullied existence in an all-boys school, it also threw him into an equally cruel nerdiverse of Nazi wannabes, boys with nicknames like Rat and Chigger, and his polymath, Falstaffian best friend who once ate a still-frozen chicken pie on a bet. Barrowcliffe, whose own schoolboy nickname was Spaz, wonderfully captures the insensitivity, insecurity and selfishness of the adolescent male. His eye for the oddities of 1970s British life is equally astute… Barrowcliffe renders all the comedy and sorrow of early manhood, when boys flee the wretchedness of their real status for a taste of power in imaginary domains. From the publisher: The life story of Gary Gygax, godfather of all fantasy adventure games, has been told only in bits and pieces. Michael Witwer has written a dynamic, dramatized biography of Gygax from his childhood in Lake Geneva, Wisconsin to his untimely death in 2008… Gygax’s involvement in the industry lasted long after his dramatic and involuntary departure from D&D’s parent company, TSR, and his footprint can be seen in the genre he is largely responsible for creating. But as Witwer shows, perhaps the most compelling facet of his life and work was his unwavering commitment to the power of creativity in the face of myriad sources of adversity, whether cultural, economic, or personal. Through his creation of the role-playing genre, Gygax gave two generations of gamers the tools to invent characters and entire worlds in their minds. Told in narrative-driven and dramatic fashion, Witwer has written an engaging chronicle of the life and legacy of this emperor of the imagination. This documentary follows the real-life adventures of an unusual group of weekend ‘warrior knights,’ fantasy role-playing gamers whose live action battleground is modern-day Baltimore, Maryland, re-imagined as a make-believe medieval world named Darkon. Graphic Novel F O’MALLEY, B. This story about a slacker kid discovering love and (sort of) growing up would be completely normal if not for its heavy reliance on video game references, tropes, conventions and more. Very fun! 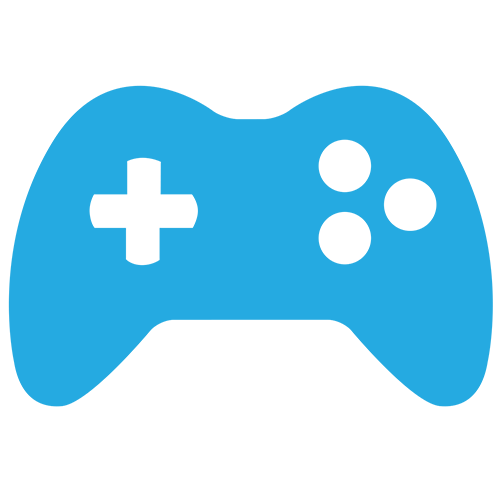 From the publisher: Learn how to create dynamic, published games for the iPhone, iPad or iPod Touch with iPhone Game Development for Teens. This project-based beginner’s game programming book guides new game developers through the complete process of developing a complete game. The book’s high-energy, step-by-step style presents proven consistent processes for creating exciting games and its highly readable style is perfect for teens or other beginners. The book begins by introducing critical gaming concepts before going into the details, sound effects, graphics, and more. While the book focuses on developing games specifically for the iPhone, iPad or iPod Touch, readers can use the author’s solid development process and the book’s open source engine to create effective games for virtually any platform. The game under the tree looked like a hundred others Peters and Judy had at home. But they were bored and restless and, looking for something interesting to do, thought they’d give Jumanji a try. Little did they know when they unfolded its ordinary-looking playing board that they were about to be plunged into the most exciting and bizzare adventure of their lives. You decide how these exciting adventures play out! Hone your Minecraft skills with a range of guides! Coding computer programs is one of the most valuable skills for anyone to have. Written for children with little to no coding experience, Coding Games in Scratch guides children through building platform games, puzzles, racers, and 3-D action games. Derek Fallon gets the chance of a lifetime when he is asked to test software for new video games, but he soon discovers that his dream job isn’t all it’s cracked up to be.